I am now an Assistant Professor at University of New Mexico. You will be redirected to my new page in 5 seconds. Hi, My name is Abdullah Al Mueen. I have received PhD degree from the department of Computer Science and Engineering in University of California, Riverside. I am working as a Scientist in the Cloud and Information Services Lab of Microsoft Corporation since November 2012. Dr. Eamonn Keogh was my adviser. I have mastered techniques on finding time series motifs exactly from in-memory, disk resident and online data. Here is my Thesis. My thesis has been selected as the runner-up for the 2012 ACM SIGKDD Doctoral Dissertation Award. In summer 2009, I was a research intern at Microsoft Research, Redmond and worked with Dr. Suman Nath. In spring 2010, I was a research intern at Microsoft Research, Redmond with Dr. Naga Govindaraju. 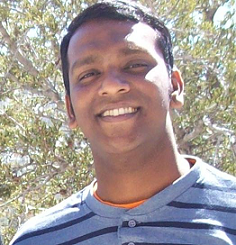 In summer 2011, I was a research intern at HP Labs, Palo Alto, CA in the Information Analytics Lab. Previously, I earned a bachelors degree in computer science and engineering from Bangladesh University of Engineering and Technology (BUET). I am broadly interested in Data Mining and Pattern Recognition. Here is a supporting webpage for this paper that contains all the datasets. I have been awarded the NSF student travel grant to attend the conference in Sydney, Australia. Here is the supporting webpage for this paper. This youtube demo shows the algorithm in action. I have been awarded the student travel grant for this conference. I have been awarded the student travel grant to attend this conference. Here is the supporting webpage for this paper. An expanded version of this paper has been accepted in Data Mining and Knowledge Discovery Journal (DMKD 2010). This youtube video shows an example of mlutidimensional motif. A Heuristic Algorithm for Individual Haplotyping with Minimum Error Correction, Abdullah Al Mueen, Md. Shamsuzzoha Bayzid, Md. Maksudul Alam, Md. Saidur Rahman, In the Proceedings of International Conference on BioMedical Engineering and Informatics, pp. 792-796, BMEI 2008. The complete list is DBLP list.The citation information from Google Scholar.